As we end 2017, it’s a good time to start thinking about changes you’d like to make in the New Year — including changes to your home. The bathroom is a great place to start. 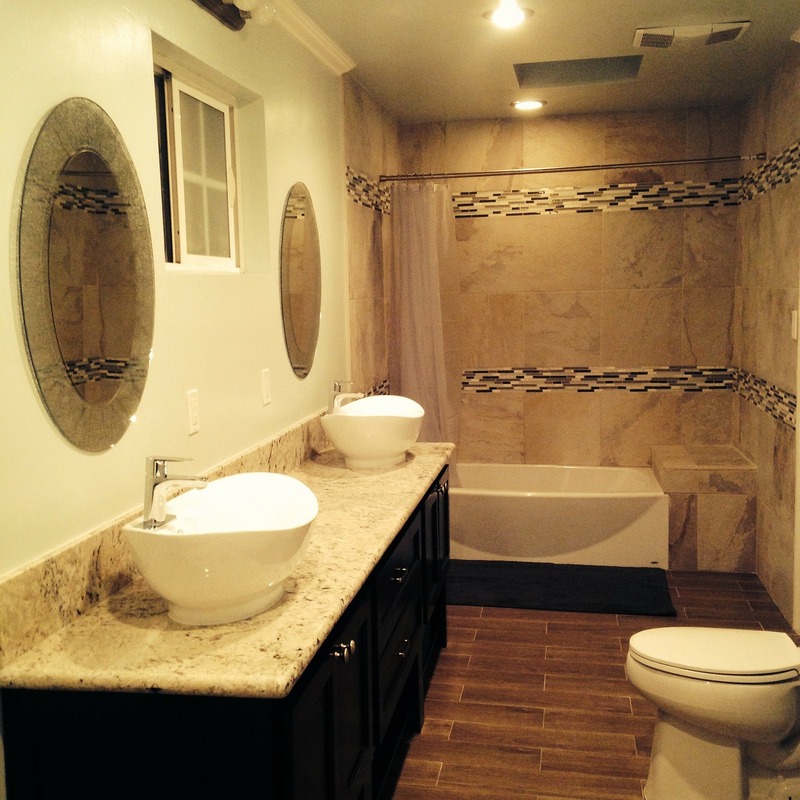 Whether you make minor cosmetic changes or a major transformation to your bathroom, you’ll be sure to enjoy it. Here are a few suggestions to update your bathroom in the New Year. For an affordable fix to a drab bathroom, swap out faded towels and blinds with fresh new vivid colors, and consider making a funky new bath mat. Glue wine bottle corks together, braid absorbent fabrics, or bring a touch of nature into the room with pebbles or moss. You can find DIY bath mat ideas online, including on this site. Instead of heading to the spa, add a massaging showerhead or talk to a licensed plumber about installing a Jacuzzi tub — just what you need to ease the stress of everyday life. With scrumptious smelling bath bombs and luxurious lotion, you won’t need to leave the house to feel pampered. If your bathroom fixtures are old and worn, you may have dripping faucets that drive up your plumbing bills. Invest in new faucets and even a low-flow toilet to save money each month. And if you have a tall spouse who has to bend way over to shave or brush their teeth in the sink, consider having a new comfort-height vanity installed. With a bigger budget, you can add marble countertops, heated floors, and fancy modern faucets and sinks. Talk to a trusted Middletown plumbing company to find out how to add a little luxury in your bathroom. If you’ve been thinking about making changes to your bathroom, give us a call. We’ve been helping Frederick County residents add beauty and functionality to their kitchens and bathrooms for years and would love to help you love your bathroom! Happy New Year from the Putman team!